Well, that's what it feels like... Today, on my birthday, I received the signed contract from Crooked Cat Publishing for Catalyst, the first in The Avenging Cat series. This is my twenty-first book to be accepted/published. Thank you, Crooked Cat, for making my day! Here is the beginning of Catalyst (subject to editing, of course); it’s only part of the chapter…. The sequel, Catacomb, is a work in progress. Rock climbing was much easier than this, Cat Vibrissae thought. She did that for a hobby – though never at night – and enjoyed it. But climbing the outside of a modern building was something else. How those people could do it for fun was beyond her. What were they called? Stegophilists. Oxford and Cambridge undergraduates started it when they scaled the college buildings in the late 1800s – always at night. She was used to the adrenaline rush of climbing with bare hands and feet on cliffs above rugged rocks and aggressive waves. But this was very different. Tonight the effects seemed more pronounced: she was sure that she could feel the increased heart rate and her gut constricting. And her mouth was very dry. Still, if she was going to fulfil her vow to her father, she had no choice. This was the only way to penetrate the seventeenth floor office of Rick Barnes. Finding hand-holds on the face of a modern building was not easy at the best of times, but at night it was worse and had to be done by feel alone. Street lighting and advertising signs didn’t help this high up – but at least the darkness ensured she wouldn’t be visible. 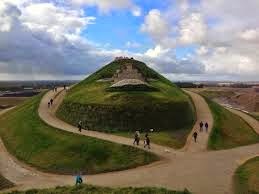 Here she would find no holes made by burrowing animals or nesting birds. Simply rigid straight edges of concrete and marble. Clean lean lines as envisioned by the architects. God, how she would dearly love to hammer pitons into the stone facade and secure a few karabiners and snap-rings and ropes, but that would make an unacceptable amount of noise and, besides, it would take far too long. But the ropes would have eased the strain on her fingers, wrists, arms and legs. Tough. Just get on with it. If she hadn’t also done plenty of free climbing, she’d never have contemplated this. Her coach had used the phrase, “Make the geckos jealous.” Unfortunately, she didn’t have suction pad feet. At least her soft Five Ten Anasazi climbing shoes acted like “magic fingers” and enabled her feet to cling to the narrowest of ledges and feel the features she stepped on. When she started this climb, the air had been quite calm, not too balmy, an ideal June evening, with hardly a breeze disturbing her long auburn ponytail. Refreshing, even. But now, fifteen stories up, the swirling air currents tugged at her slim-line backpack and black cat-suit and threatened to blow her off the side of the building. Specks of dust and leaves flicked against her cheeks; she was really glad she wore wrap-around goggles. Toe tips only. Using her toes and not her instep allowed her hip a broader moving range to allocate her gravity centre as needed. The technique required her to move her hip over her feet – “follow gravity”, her coach had said. “The hip is the centre of gravity.” Simple, really. Placing her hip over one foot relieved both her other foot and her hands for the next move. And so on. Keep calm. She passed behind the huge metal sign for CERBERUS WORLDWIDE, which, thankfully, wasn’t illuminated at this time of night. The silly joke didn’t calm her, though. After that shock, her heart was hammering more than ever. Two days ago it had been pounding for a different reason. Cat’s heart quickened as Rick Barnes let her into his Richmond apartment and shut the door behind them. She brushed her slightly clammy hands down her grey pleated skirt. This was the culmination of two weeks’ dating, waiting for the right time to accept his invitation to stay overnight. “Of course,” she said playfully. How gallant. He smiled with slightly moist thick lips, lips she’d tasted on several occasions at her own rented apartment’s threshold. She had refrained from commenting on his rather large beaked nose, even though it was difficult to avoid; he almost gave her a black eye when they first kissed. It gave him a predatory aspect, but it was she who regarded him as her prey. The wall-mounted telephone by the door rang. “Can you pour us brandy while I get that?” he said, and moved towards it. “Love to.” She strode over to the drinks cabinet. He lifted the phone, listened and spoke briefly. “I won’t forget, Loup,” he said. “Don’t worry. No, of course you don’t. The land purchase is going ahead, as planned.” He replaced the receiver and sighed. She felt her legs tremble ever so slightly as she removed the stopper from the brandy. Her stomach was involved in some kind of African tribal dance, she felt sure. Anticipation or fear? As Rick walked over to her, Cat turned her back to him, fingered her elaborate signet ring over his glass, and then poured a generous measure of the liquor into both glasses. She turned to face him. His glass, she reminded herself, was in her left hand. “It was a good show,” he said. “It was. It wasn’t too hectic. February was murder, fashion weeks in both Madrid and Milan! Do you go to many clothes shows?” She handed him his glass. Infuriatingly, he still hadn’t taken as much as a sip from his glass. `Rick sipped his brandy. At last! She willed him to drink all of it. “My secretary, Mandy, she always uses L’instant de Guerlain.” He tilted the glass back, downed its contents and put the glass on the cabinet. Finally. Then he shrugged out of his dinner jacket and slung it on the back of a chair by the mahogany desk. “Yes.” He loosened his black bow tie and then fumbled with his waistcoat buttons. “I haven’t come across Rossellini in a long time, actually.” He moved near and she didn’t falter, her bottom against the edge of the drinks cabinet. “Thanks,” she said, gratified. She’d been diligent in preparing for this night’s seduction, starting with a shower, body spray and then applying the perfume on her lower body and working her way up to her wrist, neck and cleavage, where it would stay warm longer and be more effective. That’s what customers paid for: expensive perfume lasted longer than cheap varieties. He stepped back a pace and opened his eyes. “Allow me?” he asked, reaching out to the topmost fastened button of her blouse. Cat put down her nearly full glass, the corners of her mouth twitching in anticipation. She studied his face as he unbuttoned the blouse. His lashes were long and fine. The touch of his hands as they brushed against her seemed to send electrical charges through her entire body. “No, don’t stop. Me, I never got my Girl Guide semaphore badge…” She raised a hand, ran it over his craggy features, and it made a faint rasping sound. His firm jaw was already prickly with fresh stubble. ‘Since 1965, the phenomenal Jory Sherman has published over 400 novels and 500 short stories and is currently writing books in several western series for Signet and Berkley.’ – Write a Western in 30 Days, p8 (2013). Jory Sherman has died after valiantly fighting many ill health issues for well over a year. He was a writer through and through. Earlier, even when his eyesight was failing, he continued to write, embracing the new technology and utilising large print on his computer and, despite pain, communicating with fans, friends and social media contacts. He was not only a writer, a poet and an artist (his paintings graced some of his later reprinted e-books), but he was more importantly a generous and kind man. I was in contact with him only fleetingly through a couple of writing groups. But I gleaned the kind of man he was from the many anecdotes and comments from fellow writers as the seriousness of his latest illness became common knowledge. Jory was born 1932 (possibly, according to a scant Wikipedia entry) and began his literary career as a poet in San Francisco in the late 1950s, in the midst of the Beat Generation. His poetry and short stories were widely published in literary journals at that time. He won awards for his poetry and prose and was nominated for a Pulitzer Prize in Letters for his novel Grass Kingdom. He won a coveted Spur Award from the Western Writers of America for The Medicine Horn. In 1995 Jory was inducted into the National Writer’s Hall of Fame. Throughout his career, he conducted writing workshops and was always happy to offer advice to budding authors. His writing guides are definitely worth studying, no matter how much writing experience you have under your belt. Indeed, it’s impossible to measure how many writers of today owe something to Jory’s tutelage, advice, friendship or, simply, his poetry and prose (they have to be grouped together, as his prose was often poetic). In 2012, he received the Western Fictioneers Lifetime Achievement Award and in 2013 he was the recipient of the Owen Wister Award for Lifetime Contributions to Western Literature. A couple of days ago, one of his friends announced via Facebook that Jory had asked to leave hospital, no longer wanting to undergo the painful procedures. He wanted to see his last sunsets from his home, with his family. I truly hope his last sunset was a splendid one that would appeal to the artist and poet in him. Truth is, the sun won’t set on his work; it and he will live on through his prodigious output of writing and through the many friends and acquaintances he touched. My condolences to his bereaved family and many friends. A short story inspired by the Help for Heroes campaign and also to commemorate the first awards of the Victoria Cross. ‘Good heavens, she should be at home and out of sight! Isn’t she just deplorable?’ whispered Mrs Armstrong-Holmes, fluttering a lace handkerchief in front of her nose, as if there was an unpleasant smell nearby. ‘Come along, Jimmy,’ Winifred Cambridge said, gently tugging her five-year-old boy along beside her green brocade skirts. Tears pricked at the corners of her eyes as they walked past the two women. Within a few moments she had forgotten their sour remarks as she was too concerned about getting through the crowds for a better view of the ceremony. Her heart was hammering in her chest and little Jimmy was near to tears himself, hemmed in by the people. Hyde Park was crammed with representatives from all the regiments who had fought in the Crimea as well as many families and friends. Fortunately they were blessed with a fine sunny day. The slight breeze snapped at the countless colourful flags and made the bright satin and silk dresses ripple and shimmer. Huge marquees had been set up, the tables groaning under the weight of food and drink. Coloured pennants fluttered; standing all around were the proud bearers of the regimental standards. Sunlight glinted off the metal of weapons and helmets. Across the park carried the sound of horses snorting and soldiers barking orders. ‘Oh,’ Winifred said, the smile swiftly falling from her face. ‘No, I agree,’ Mrs Gledhill said. ‘Nor could I.’ The sun caught a glint of moisture on her eyelids. ‘At least the weather has turned out fine,’ said Winifred to lighten the mood. ‘They say it never sets on our Empire,’ Winifred added. Suddenly, an eerie hush fell on the entire park. Winifred felt her heart flutter as she caught sight of the monarch. She had never been so excited in her life! The Queen looked simply gorgeous in her ivory silk dress, the bright blue sash draped elegantly over her left shoulder. She had reigned for twenty years and looked almost as fresh as she had when she inherited the throne at eighteen. Her consort and husband Albert sat beside her in all his military finery. Ensconced in a gold-inlaid throne, Queen Victoria sat on a dais in front of the sixty-two officers and men who were about to be honoured. Winifred spotted her Philip standing to attention about halfway along the line. She leaned down and pointed for Jimmy. ‘See, there’s your daddy!’ she whispered. Jimmy waved and Philip saw them both and winked fleetingly: he might be a hero, Winifred thought, but he still feared the wrath of the sergeant-major who was responsible for the assembly’s protocol. The first to step forward was Commander Raby of the Royal Navy. Two years earlier almost to the day this naval man – with the help of two others – had rescued a private of the 57th Foot, who was wounded in both legs and lying between the trenches, and carried the soldier to safety. Many people were stirred by the bald announcements of bravery in the London Gazette. Winifred couldn’t begin to imagine how horrendous it must have been for Philip and all these men. The siege at Sevastopol must have been truly appalling, she thought. Every day hundreds of cannon battered down the fortifications and yet the Russians repaired them each time before the next bombardment. Ear-splitting shells shattered limbs and sanity. Soldiers manned the trenches night after night through two harsh winters. She gleaned what little she could from the eloquent and brave newspaper reporters like Mr Russell. When he returned home eighteen months ago, Philip never spoke about it at all. Her heart went out to him as he often stared off into space, perhaps mindful of the wounds that still grew inflamed when he relived that particular day. to safety a wounded man. It was notices such as this that annoyed Winifred. Those responsible made no allowance for people like her who had no idea what a ‘spiking party’ was, for goodness’ sake! Indeed, it could have been a jolly jape, like a birthday party, for all she knew. Of course Philip explained – to her great embarrassment – that he and the others were sent out to spike the Russians’ guns – that is, to make them inoperable by blocking or destroying their barrels or hammering a metal spike into the touch-hole. It sounded awfully technical – and dangerous. It must have been bad enough to face the enemy cannon onslaught, but to actually go right up to their gun barrels seemed quite suicidal. Even now, two years after the event, she grew weak-kneed at the thought of it. Last night on the settee in their front parlour, where they had retired after eating, Philip finally spoke in detail about the incident. While she sat with her tea and he his brandy, he said that he had felt quite scared yet strangely alive. Even though they had been married eight years, Winifred blushed. She felt her cheeks glow now at the memory. 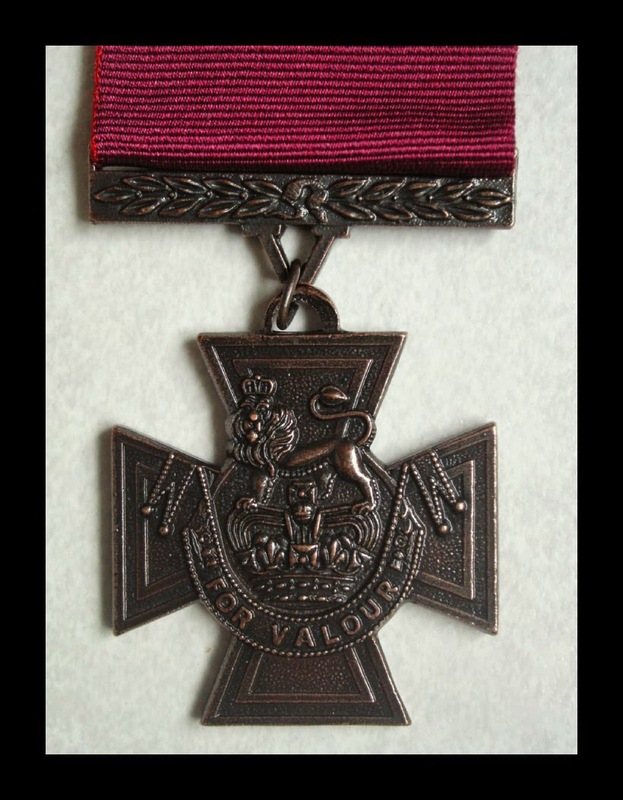 The sovereign began presenting the bronze Victoria Crosses. At last it was Philip’s turn. He limped slightly as he approached the Queen and Winifred’s heart felt fit to burst with pride. Philip saluted and bowed his head as the VC was pinned to his chest. Her majesty leaned towards him and spoke briefly. She would be anxious to discover what the Queen had said for the rest of the day, until Philip was allowed to fall out or whatever military men do when they are dismissed. It seemed most appropriate that all of the medals were cast from the bronze of Chinese cannons captured from the Russians at Sevastopol, making them unique. Like the men here today. Like her husband, Philip. The days and weeks and months of anxious waiting seemed so long ago now, a distant memory, as if happening to someone else. Winifred could barely remember those sleepless nights and the terrible constricted feeling in her throat when she checked the casualty lists. How her heart had lurched when she read Philip’s name through blurred lashes. She thanked God that he was only wounded, that he was alive. She flushed and felt selfish and awful when she realised that many of the women beside her had no consolation at all: their husbands, sweethearts and sons were not coming back, ever. Enid Gledhill had been one of them. Her husband was a captain in Philip’s regiment and led the attack on the rifle pits in front of the Redan. They managed to drive out the Russians at the point of their bayonets, without firing a shot, but the 77th suffered many casualties, among them Captain Daniel Gledhill. Now Mrs Gledhill stood tall and steely-eyed as the monarch honoured the living heroes. There was no such thing as a posthumous award, which seemed a little unfair, Winifred thought. Later, when Philip limped towards her, his eyes shining bright and full of love for her, Winifred felt quite faint. 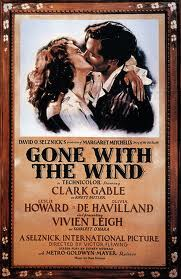 He lifted up Jimmy into his arms and in front of all manner of people he gently embraced Winifred and kissed her cheek. ‘I never thought of myself as being brave,’ she said. Previously published in The New Coastal Press in 2009. If you liked this story, please consider trying my collection of crime tales, Spanish Eye, published by Crooked Cat. It features 22 cases from Leon Cazador, private eye, ‘in his own words’. He is also featured in a new case ‘Processionary Penitents’ in the Crooked Cat 20-story Collection, Crooked Cats’ Tales. 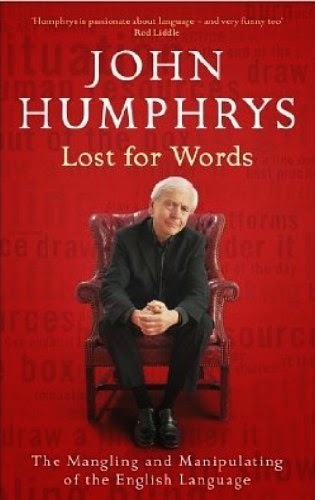 Subtitled ‘The Mangling and manipulating of the English Language’, this 2004 book (revised 2011) is an enjoyable rant from journalist and BBC presenter John Humphrys; you can almost hear his voice as you read it. ‘Have something to say and say it as clearly as you can. That is the only secret to style,’ said Matthew Arnold, the Victorian writer, and that’s what this book is about. But most of all Humphrys hates the way our language is being mangled and manipulated by people trying to sell us things or, far more worryingly, ideas. None of us are without sin, but those who care do at least try to get it right. He’s not above castigating himself, either. So, nobody’s perfect! Humphreys’ concerns are mainly with the written word – that includes politicians’ speeches, since they’re written by a speech-writer or spin-doctor. Most broadcasters should have given what they’re going to say some thought then written it down before reading it out. He mentions one exception, however – when John Arlott was speaking on a live broadcast he always worked out exactly how his sentence would end before he started it. You won’t be surprised to learn there are several sections in the book devoted to politicians. Humphreys actually likes them as a breed and considers many are hard-working and undervalued. But they all seem to fall into the trap of mangling and manipulating language – our language. They misuse our money, too – though they keep referring to it as ‘government funds’. The government invests money in certain enterprises, they say; the government can’t, as it doesn’t have its own money to invest; in fact, it has the tax-payer’s money to invest. Newspapers, inevitably, are not immune. Clichéd language is second nature to journalists, such as: feelings always run high; doubts are always nagging; grinds to a halt; people die tragically (as opposed to joyfully), and so on... Headlines are an art-form and they mangle English due to lack of space and usually to raise a smile too. Broadcasters can’t use that argument, though; as Humphrys points out, it saves precisely one ninth of a second to use a one-syllable word instead of a three-syllable word and no programme measures time in fractions of seconds. We should be demanding that people in power use clear simple English instead of the clichéd dumbed-down inflated and senseless drivel that so often passes for English today. We can all make a difference. Question what the writer or speaker means. Query the assumptions made. Humphreys gives us all pause for thought. Before thought too is controlled, of course. I suspect this book won’t be a runaway bestseller like Lynne Truss’s Eats, Shoots & Leaves. But it certainly deserves a wide audience. It will amuse and annoy and, more importantly, it warns the unwary to be on guard against being manipulated by people who should know better. Interestingly, the reviews to date have been very mixed. Make up your own mind, though. Crooked Cat Sale is still on! 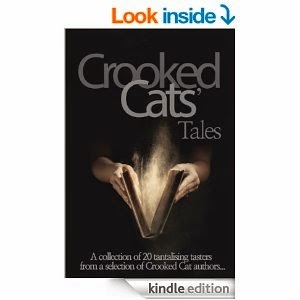 Just over 36 hours to the end of the latest Crooked Cat e-book sale. Yes, for the absolutely criminal charge of .77p (GBP) and other foreign currency equivalents, you can download many great novels and story collections from Crooked Cat. Just go to Amazon and type in ‘Crooked Cat Publishing’ and you’ll be offered an impressive list of books – and I’m sure that many of them are bound to appeal. 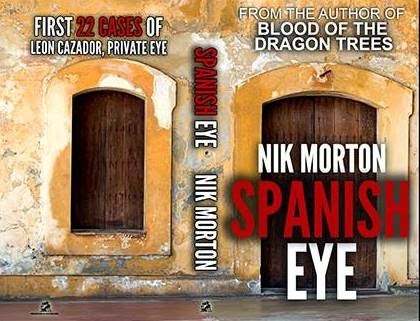 Visitors to Tenerife will recognise the beauty of the island in Nik Morton's evocative descriptions of what the island has to offer to the tourist, but few, if any, will recognise the darker side so vividly portrayed in this novel. No doubt the fiction is inspired by Morton's ability as a thriller writer, and not something that he has uncovered by stealth. It is a fact that immigrants head for the Canary Islands from Africa, but here Morton has added spice to the tragedies that often unfold through people trafficking. 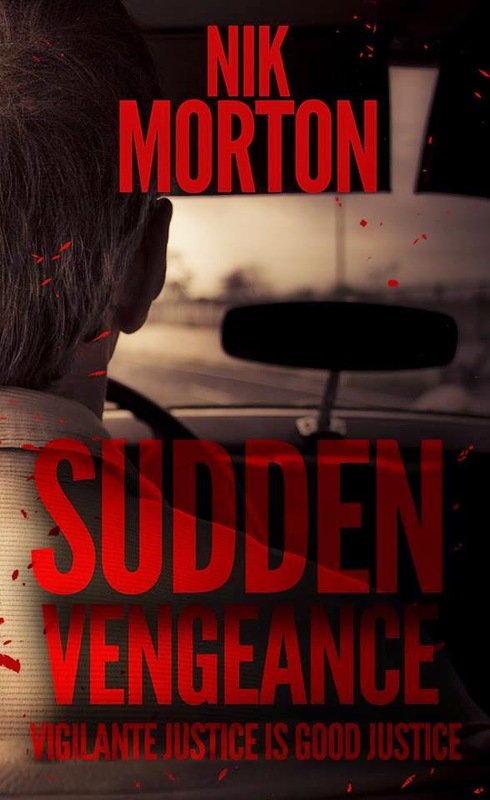 … Morton takes the story along at a fine pace, and readers of his past novels will not be disappointed in his narrative, his characterisation and careful plotting. More than one reviewer who states that they don’t read short stories has raved about this collection of cases about Leon Cazador, half-English, half-Spanish private eye, ‘in his own words’. … the moral question is posed about the rights or wrongs of taking the law into your own hands, and how addictive it can be. How many of us have been sickened by a crime only to be disgusted at the leniency of the law? Oh how we would want to dish out our own form of punishment. But where do you stop? And how long before you go over the line and commit murder in the name of justice? This is a thought-provoking story. I found myself being drawn into it gradually, just like the avenger is drawn into the compulsion to continue exacting revenge. 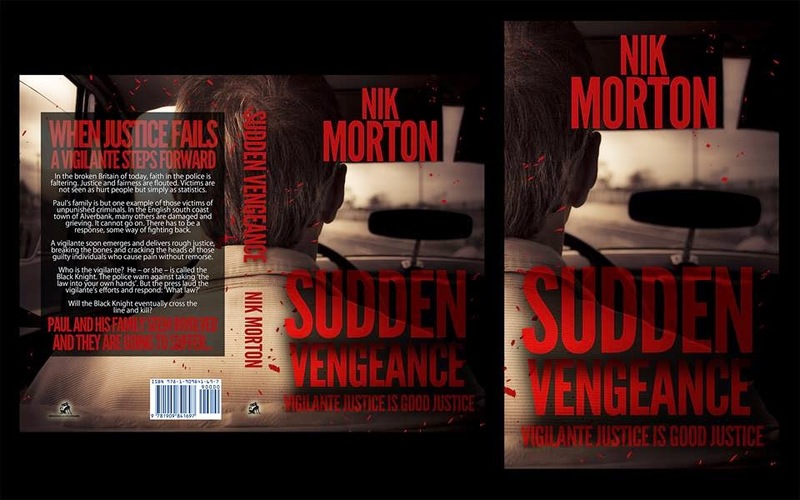 Nik Morton's story will demand that you stay with it and discover how far the vigilante will go. Today I decided to update to Windows 8.1. I'd been happy enough with Windows 8, honest. But felt it was time to download the update. It went smoothly - well, by the time I returned from the shops, it was almost finished. Then I needed to supply my user details (which I'd done at the W8 setup a year earlier!) and of course they've inserted security which meant I had to go to my gmail account to check the authorisation code. (I had to do this while visiting UK and trying to use Hotmail). Fine, but the screen was frozen until I supplied the code. Fortunately, I could log in to my wife's computer and read my gmail there. Had to switch off my modem to use hers, but that was no problem, fortunately. Advice. If the email provider asks you to supply some personal information, say a landline phone number or another email account, it might be a good idea to supply it as they are used for verification purposes. When I started up the computer again, some of the features I rather liked in W8 seemed no longer there - they've opted for tabs along the top, and seeing favourites along the bottom has changed too. Then I typed a letter and found that the Epson printer, which worked fine with W8, now needed updates! No problem, the system downloaded the updates and eventually I was able to use the printer again. It's all clever stuff, and we tend to take for granted all this technology at our fingertips. It's a far cry from the old days when computer users had to perform virtual jumps-through-hoops to install new programs or updates. And if you're not comfortable with letting the computer/Microsoft et al take the strain, you can still customise. So, it's a sign of progress. Sadly, I didn't progress any of my creative writing today, which was the plan! During our visit to the north-east, we popped in to Barter Books, in Alnwick, one of the largest second-hand bookshops in Britain. Over the years, I’ve been there a few times. It’s a cornucopia of literature for readers and collectors. Ten years ago, prior to moving to Spain, I deposited a number of books with them and received a credit to spend there. At the time, I naturally didn’t want more books (we already had 34 boxes to transport to Spain as it was), so I kept the credit for a later date. A few years passed and then I searched their website online and identified a number of Time-Life books in the Old West series. I ordered them and they were retained until such time as I could fly to UK and collect them. Barter Books can be found in the old Alnwick railway station, which was built in 1887 to a high standard to impress royal visitors to Alnwick Castle. Passenger service continued until the Beeching cuts closed the station in 1968. 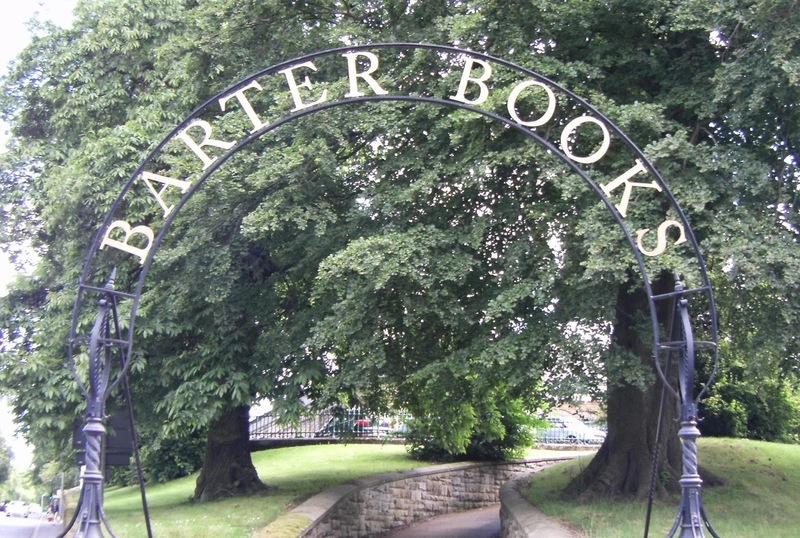 In 1991 Mary Manley decided to open a second-hand bookshop, based on the swap system, and called it appropriately Barter Books. Her husband Stuart suggested she open the shop in the front room of what was his manufacturing plant in the old Alnwick Station. In time, the bookshop grew and grew. Opposite the station, there’s the 83ft-tall Tenantry Column topped by the Percy lion. The story goes that the column was erected by the Duke’s tenants in 1816 in appreciation of his having lowered their rents during the depression caused by the Napoleonic Wars. 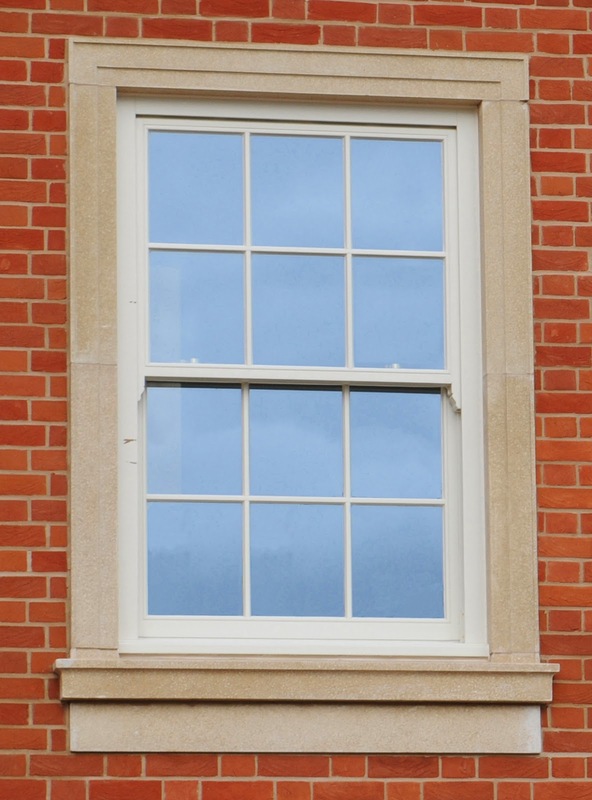 So impressed was the Duke to find his tenants were able to afford this, he promptly raised their rents…! You enter the shop through the doorway under the Victorian three-bay glazed canopy which served to protect passengers alighting from horse-drawn carriages. Once inside this entrance (which formerly led into the station’s Parcels’ Room), you’ll be amazed at the number of books. There is a self-guided historical tour of the station, relating its opening in 1850, and its replacement (designed by architect William Bell) in 1887. You’ll see the station clock, made by Potts of Leeds (at a cost of £12.50 (old money £12.10s.0d). On walls and plaques you’ll find lines of poetry that connect the book columns. The Little Train, a miniature railway system, runs on top of these poetry lines. The trains are to a scale of 1:22.5 – actually on three separate tracks – and run all day every day. There are three huge murals commissioned between 1999 and 2006: The Famous Writers, painted by local artist Peter Dodd, depicting over 30 life-size portraits; The Railway Mural shows the names of almost 450 railway staff who worked in Alnwick Station from its opening in 1850 until its closure in 1968; and The Tennyson Installation was inspired by the work of artist Mark Handforth – Barter Books’ version illustrates the first lines of Tennyson’s great poem, ‘Crossing the Bar’. Definitely worth a browse. Don’t expect to make a flying visit, though. Besides the vast range of books – children’s, crime, antiquarian, humour, music and dance, poetry, politics, fiction, science fiction, thrillers, military history and much more – you’ll find so much to see, including Long Playing records, CDs and DVDs. Fair prices, too. I was tagged by Crooked Cat Publishing’s author Jane Bwye to reveal five facts about a protagonist in my current work in progress. 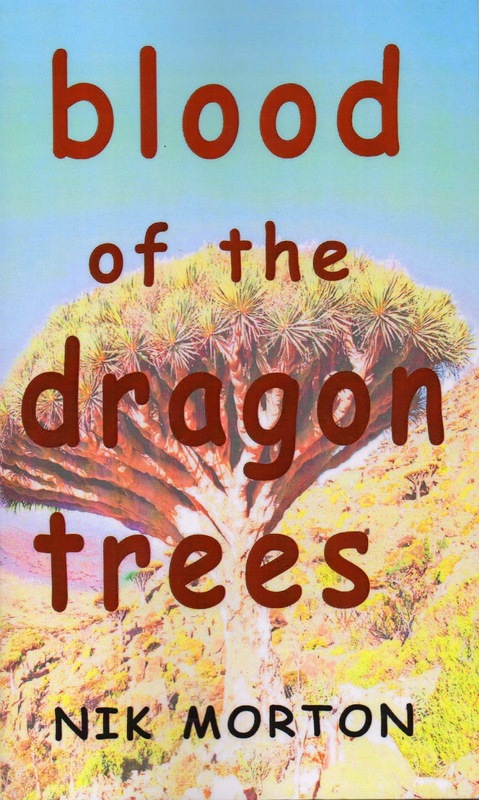 I’m working on two books at present – a fantasy and a crime thriller. As the thriller is for Crooked Cat, let’s keep it in the family. The work in progress is Catacomb and it’s a sequel to Catalyst, the first in ‘The Cat series’. 3) She has bronzed, tanned features – weather-beaten from rock climbing, one of several sports she pursues when time permits. 4) Her clothes are a mixture of designer and High Street. 5) She has sworn to ruin Loup Malefice and his company, Cerberus. Now, I’m tagging Ailsa Abraham, Richard Hardie, Michela Sacchi O’Brien, Catriona King, and Cathie Dunn. Yesterday, Jen and I returned from our visit to the UK. It was the first time we’d been there for four years! The last time, of the 16 days we stayed, eleven were rain-sodden. Of course, we don’t go there for the weather, but to see friends. This time, we were blessed with sunshine throughout! On Sunday 8 June, we flew via BA into Gatwick, which left 50 minutes late and arrived 30 minutes behind schedule, hired a Seat Ibiza (same make as our own car, though ten years newer!) and drove down to Lee on the Solent to stay with our friend Molly, who lives in a flat on the seafront overlooking the Isle of Wight. As Molly’s 86 – and planning her 90th birthday party – it was deemed less disruptive if we were put up in the spare bedroom of her neighbours and friends, Ken and Cathy downstairs, who were also excellent hosts. Ken’s a very good chef, too. On the Monday, I saw Rick Barter, owner of the Bookshop on the High Street, then we visited some friends in the immediate area, including our son-in-law’s parents. We also frequented a few shops, too, though ever conscious of the expected weight of our suitcases for our return – and the depletion of the bank balance! On Wednesday, 11th June I went to The Bookshop and met Rick Barter again, and also Jane Bwye, who would be sharing the book signing session. It’s a good idea to share a signing, I find, as during the quiet periods when there’s no passing interest, you have someone to chat to. And Jane, with her long past in Kenya, naturally proved to be great company. Sarah, a photographer from the local newspaper The News, dropped by and took several photos of our stall outside the shop. The weather was sunny and warm, but fortunately our table was in the shade from the awning. A good two hour session; books signed and sold and a number of bookmarks handed out. We drove up north on the 12th, passing the Angel of the North, and shortly afterwards were met by our friends Margaret and Neil, who followed us in to the airport where we returned the Ibiza to Hertz. Then it was a short drive to their new house in Seghill, near Cramlington. During this second stage we walked all over the Lady of the North (Northumbria), stood betwixt Scotland and England, trod the quaint historic town of Jedburgh (or Jethart, or Jethard), put foot upon the creaking floorboards of the house of Mary Queen of Scots, barely missed seeing the Commonwealth Games Queen’s baton (! ), strolled through the aisles of the biggest second-hand and antique book dealer, Barter Books in Alnwick, ate too much and finally flew from Newcastle via Jet2, a carrier to be recommended, arriving 15 minutes early in Alicante, to be met by our daughter Hannah. There was little time to devote to Facebook or emails during the period of absence. I had already prepared a daily post for this blog, the last of which was yesterday’s. Further blogs will cover some of the above places of interest. It’s good to have a break and see friends and the old country, but it’s good to be back home, too. If memory serves me right, June in England seems to be a time for pleasant warm evenings watching cricket on the village green, though it’s also the month when fetes are invariably washed out. That’s only one reason why many Brits have become expats in Spain! In 1896 J T Hearne set a cricket record for taking 100 first-class wickets (12). Then in 1931 forty-eight-year-old Charlie Parker (not the Jazz musician!) equalled Hearne’s record (12); a day later, Tich Freeman achieved the same record. William Attewell was another bowler who took 100 (not first-class!) wickets (in 1884). He played in ten Tests; he was born (12) in 1861 and actually died a day before his birthday in 1927. Still on the subject of sport – the sport of kings. The Epsom Derby in 1913 was sadly marred by a suffragette, Emily Davison, running out in front of the king’s horse Anmer (4). She was trampled underfoot and died a few days later. In 1994 sports superstar O J Simpson was accused of killing his wife Nicole and Ronald Goldman (12); he was acquitted though held liable in a civil case. Eight years earlier Argentine soccer maestro Diego Maradona scored (22) against England during the World Cup in Mexico City. You know, that game where the Hand of God scored the winning goal. Hot air ballooning is regarded as a sport, too. 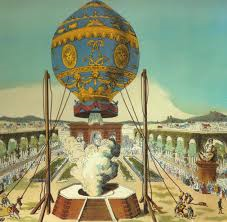 And it all started in 1783 when the Montgolfier brothers demonstrated (4) their hot air balloon. Another pioneer in flight was the pilot of the Gossamer Albatross, which flew across the Channel in 1979. It was man-powered by Bryan Allen. Irwin Allen produced many films, among them Five Weeks in a Balloon, The Poseidon Adventure and The Towering Inferno. He was born (12) in 1916. He was responsible for many science fiction series on TV, including The Voyage to the Bottom of the Sea and Lost in Space in the days when fiction was becoming fact, when, for instance, Venera 4 was launched in 1967 to become the first space probe to enter another planet’s atmosphere and successfully return data (12). In 1633 views on the universe were very different: the Holy Office in Rome forced Galileo to recant his view that the sun, not the earth, was the centre of the universe (22). It wasn’t until 1992 that the Vatican recanted and effectively apologised for the treatment of Galileo. A transit of Venus in 1769 was followed five hours later by a total solar eclipse (4); interestingly, on the same day in 780 BC the first solar eclipse was recorded in China (4). On the same day Austrian astronomer Franz Xaver, Baron Von Zach, was born (4) in 1754 and he set out to find a predicted missing planet between Mars and Jupiter. His team located Ceres 1, which is the biggest rock in the Asteroid Belt that passes between these two planets. In 1978 Pluto’s satellite Charon was discovered (22), some forty-eight years after the planet itself was actually found. Pluto was the Greek god of the underworld and Charon ferried the dead across the Styx to Hades; in August last year Pluto was declassified, no longer being a planet but merely a dwarf or minor planet, seventy-six years after its discovery. Of course, instead of searching the heavens, many people simply explored our planet. One such man was George Vancouver, who was born (22) in 1757. He claimed Puget Sound for Britain (4) in 1792 and of course Vancouver in Canada is named after him. Canadian actress Norma Shearer died (12) in 1983; she had been offered the part of Scarlett O’Hara in David O Selznick’s Gone With the Wind but he was overruled. Selznick died (22) in 1965; both he and Shearer were born in 1902. Two of Selznick’s most popular films were Duel in the Sun, a western starring Gregory Peck, who died (12) in 2003, and The Third Man, based on the novel by Graham Greene. The Canadian actor Graham Greene, who captivated global audiences in Dances with Wolves, was born (22) in 1952. The fifth century Capitoline Wolf statue symbolises the she-wolf suckling Romulus and Remus at the birth of Rome. It’s featured in the epic film Cleopatra, which premiered (12) in 1963. Henry Rider Haggard, author of King Solomon’s Mines and She also wrote a novel called Cleopatra in 1889. He was born (22) in 1856; he stood unsuccessfully for Parliament for East Norfolk in 1895. His tales of Allan Quatermain inspired modern interpretations like Indiana Jones and Lara Croft. Tomb Raider star Angelina Jolie was born (4) in 1975. Her film Tomb Raider also featured Daniel Craig, who is the current movie James Bond, as well as Richard Johnson, who was in the TV movie The Secret Life of Ian Fleming. Ian Fleming was actually in Intelligence during the Second World War. In 1940 the end of the evacuation from Dunkirk (4) seemed to offer little hope for the European continent’s future, with Rommel accepting the surrender (12) of 13,000 British and French troops followed by France being forced (22) to sign an armistice with Nazi Germany. Two years later, thirteen-year-old Anne Frank received a diary on her birthday (12) – she was born in 1929 and was murdered in 1945. 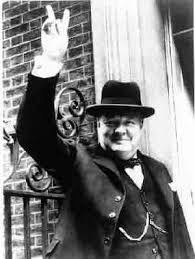 And of course the war ended in that year with an Allied victory, thanks to Churchill’s leadership, among other factors. Prime Minister Churchill was succeeded in 1955 by Anthony Eden, who was born (12) in 1897. Perhaps because he was headstrong and stubborn, Winston Churchill didn’t get on well with fellow students in his early school years. He even had to hide behind a tree when some boys threw cricket balls at him. After this experience, he vowed to be as tough as anybody else. So with that cricket anecdote we’ve come full circle for this look at linking dates, people and events. Writing tips - What is a novel's origin?